Leading legal luminaries from SCO member states met between August 27 and 29 in Astana and pledged to vigorously fight trans-border crimes like terrorism, drug trafficking and weapons smuggling. Prosecutors General from SCO member-countries held their 13th meeting in the Kazakhstan capital Astana last month, and renewed their pledge to fight drug-trafficking, terrorism, extremism, weapons smuggling and other trans-border crime in consonance with the declaration adopted at the recent SCO summit in Ufa. The forum discussed a wide range of issues on the agenda including cyber crimes, which threaten security and stability in the entire region. During their three days of deliberations, the SCO (Shanghai Cooperation Organisation) Prosecutors-General exchanged views, information and practical experiences in countering drug-trafficking, terrorism, extremism, separatism, weapons and human smuggling, and other cross-border crime. There was particular focus on the emergence of the Islamic State (IS) as a new security threat in the region, following the withdrawal of NATO-led troops from Afghanistan. The recent IS foothold in North Afghanistan, particularly, urgently requires a coordinated joint response from SCO members to resolve such crime which transcends borders. As Russian President Vladimir Putin said at the Ufa summit, maintaining security within SCO member-states and along their borders was also high on the agenda of the Prosecutors General. It is no secret that huge drug-production, drug-trafficking and other trans-border crimes are interlinked with the increasing influence of Islamic militants and terrorists of the Islamic State in Afghanistan. The meeting also discussed the exchange of information among the SCO member-states about terrorist attacks and how to prevent them, and and preventing likely recruits to these extremist forces from travelling abroad to take part in terrorist activities. SCO Prosecutors-General meet annually in one member country, in alphabetical order. Their 12th meeting was in Tashkent, the Uzbek capital, in October 2014. The Astana meeting decided to hold the 14th meeting of SCO Prosecutors-General in Hainan, China, in 2016. Russian Prosecutor General Yury Chaika stressed the need for harmonizing laws in SCO member-countries so that an effective coordination mechanism for joint operations against drug threats could be created. Chaika said currently, cooperation between different law enforcement agencies in SCO countries does not match the level of risks involved with the illegal drug-trafficking and other cross-border crimes, and urged the Prosecutors-General to take necessary steps to improve the situation soon. He also proposed amendments to the five-year (2011-2016) SCO “anti-drug strategy,” adopted in 2011. He called on the meeting to establish cooperation with other international organizations in the struggle against the drug threats. The Prosecutors-General signed a Protocol to increase ‘effectiveness of international cooperation in mutual legal assistance, continuing the exchange of experience in the main direction of prosecutors’ activities and adoption of effective measures to combat the various transnational threats to security in the region’. The Astana meeting was the first-ever forum in which India participated after it was formally admitted into the regional grouping as a full member at the recent Ufa summit. Technically, the process for India as a full member in the organization has already started, but will be complete only in 2016, in time with the next SCO summit in Uzbekistan. Granting Indian full membership will definitely enhance its role within SCO to jointly fight cross-border crime. “We will work with SCO to combat terrorism and extremism that is a rising threat to the entire region,” Prime Minister Narendra Modi said at the Ufa summit. Attorney General Mukul Rohatgi represented India at the Astana meeting and participated in all its programmes. He also held bilateral meetings with his counterparts, Daulbayev and Chaika. During his meeting with Rohatgi, Chaika exchanged views on the Indo-Russian cooperation in countering trans-national crime and invited him for the 7th Regional Conference of Central and Eastern Europe and Central Asia under the aegis of the International Association of Prosecutors (IAP), in the Black Sea resort of Sochi, in November. 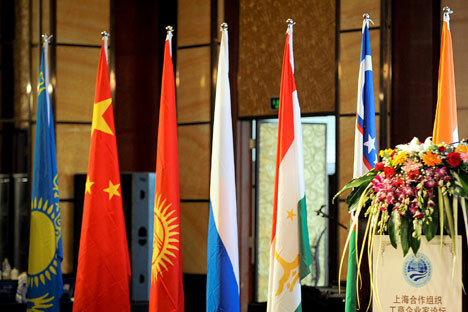 Rohatgi said their offices should strengthen cooperation on a bilateral basis, and also in the SCO and BRICS formats.